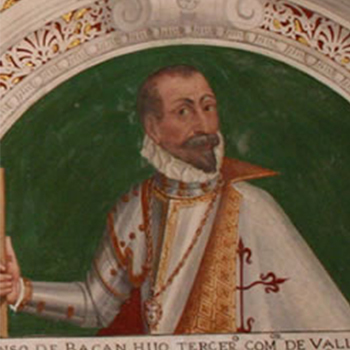 The sailor Alonso de Bazán, brother of the great Álvaro de Bazán, the First Marquis of Santa Cruz, protected Lisbon in 1589 with his fleet of galleys. In May he presented an exhaustive report on how to defend the estuary. Such an interesting report, as yet unpublished, describes in masterful fashion the state of maritime matters in the 16th century. Later his galleys added strength to the front of San Julián castle, which Drake did not venture to attack from Cascais. With Norris stationed in Lisbon, Bazán attacked his army from the sea, thereby driving him away from Lisbon’s weak maritime front, where there were no longer any city walls. Shortly afterwards he extended the attack further along the coast when Norris, whose troops had been decimated by the Spanish infantry, fled towards Cascais and the refuge of the English Armada. Later, when the defeated English Armada set off on its return journey, he used the artillery from his galleys to attack its rearguard, causing the ships to scatter and sinking several of them. Two years later he drove off the most ambitious attempt by the English to intercept the West Indies fleet in the Azores, inflicting damage and putting to flight 22 of Elizabeth’s ships and capturing Drake’s Revenge.